All a man can ask for is to live well. It's more than just being good; it's being good in spite of the world, a world which seems crafted to shape men to do evil. That's the reality of living in a world where babies are born with deadly superhuman abilities, where extraterrestrial invasions scour entire cities, and where conspiracy within the highest echelons of society plots to enslave the masses. To be good in spite of these things is a challenge indeed; failing that, the most a man can do is make the world a better place for the next generation, even if that means sacrificing everything. To fight back against the randomness of the world, to produce a system in which people can live with hope, not in terror...that is what Arno Flint has always wanted. But the line between lashing out madly like a dog and simply doing nothing is invisible, practically impossible to find. And with no genetic miracle, no alien blessing, and no ancient prophecy backing him up, it seemed impossible for one man to do anything meaningful to fight evil. To bring order to the chaos of the world, even a little, was a task too big for any one man, even a special operator for anti-meta police response. Discontented and alone, Arno drifted from homeland security into mercenary work, abandoning his high ideals to make ends meet. It was a dark time, one he thought would never end. That seemed to be the case, at least, until the group DETERRENCE arrived, offering Arno a shot at changing the world. To make his own meaning on a planet in which exonormal accident can wipe away entire populations would be a challenge, but one he was determined to rise to. As Deterrence's new top point man, his struggle for justice in an unjust world has been taken to an entirely new dimension. What use is human muscle against metahuman power, man's ethics against the whims of Gods? He'll find a way to stay good, or make one. To make the world right, before the end. Even though he's no more than a soldier. Identity: Known within Deterrence. On record as an ex-SWAT operator. Clearance: Sergeant level. Commands the respect of standard infantrymen, and leads his own group into battle. Education: Law-enforcement academy, transitioned to SWAT unit. Justice is prerequisite for freedom, and caution is necessary for survival. But at what point does a desire for justice become a lust for revenge, and caution become paranoia and prejudice? These are the questions Flint wrestles with in silence, the doubts which influence and inform his actions in the field as a team-leader of Deterrence infantry. Following orders doesn't absolve one of responsibility, and neither does pursuit of some nebulous greater good. But inaction born of moral skepticism can be just as harmful, apathy and cowardice that masquerade as doubt. To be a good man in a bad world is all he aims for, whatever that should mean. It's his weight to bear, and to bear quietly. Arno has been accused of prejudice towards exonormals, but to him, it's nothing but justified caution. He's lost men to metahumans before, and with many of them sporting powers advanced enough to give them WMD status, there's no such thing as being too careful. Why do these people deserve their great power? Nearly none of them can be expected to be responsible with it. Most are nothing more than threats waiting to reveal themselves, and at best are amateurs who can just as soon prove to be liabilities in an operation. Worst of all, they're people - people with worth, with hopes and dreams. People who need protecting too. It's hard to look past the cape and mask, though. Isn't that the point, anyhow? Who do these people think they are? The most grating part is the lack of discipline, the absence of focus, coordination. Good will isn't enough to justify intervention in a crisis. Flint learned at a young age that there's more than just a responsibility to help others - there's a responsibility to help only when you're fit for the job. 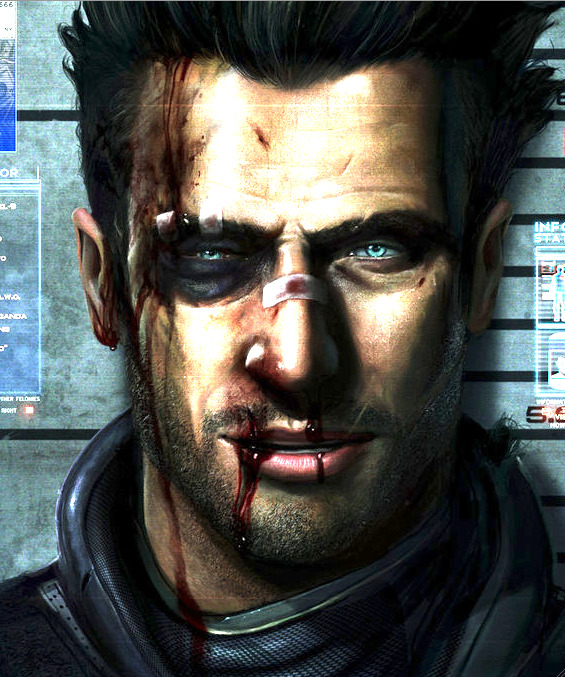 In his eyes, most supers aren't, and are often just as much an obstacle to completing a mission as they are helpful. In the end, for Flint, it all boils down to averting human loss - to trying to impose some sense of fairness on a truly chaotic world, to make a place where human beings can live instead of just survive. His justice might be harsh, but to him, it's what's needed, like it or not. The most a man can be asked to do is stay strong, and true to their convictions. That's what Flint tries for. Arno is a man of slightly above-average height and muscular build, the result of years of routine conditioning. His hair is cut at military regulation length and tapered along the shape of his head, short enough to enable him to wear all headgear comfortably. Arno's eyes are blue. He has high cheekbones and pronounced facial features, usually set in a neutral expression. His posture is controlled and attentive, given his situational awareness. His attitude and focus have led many to describe him as intense. 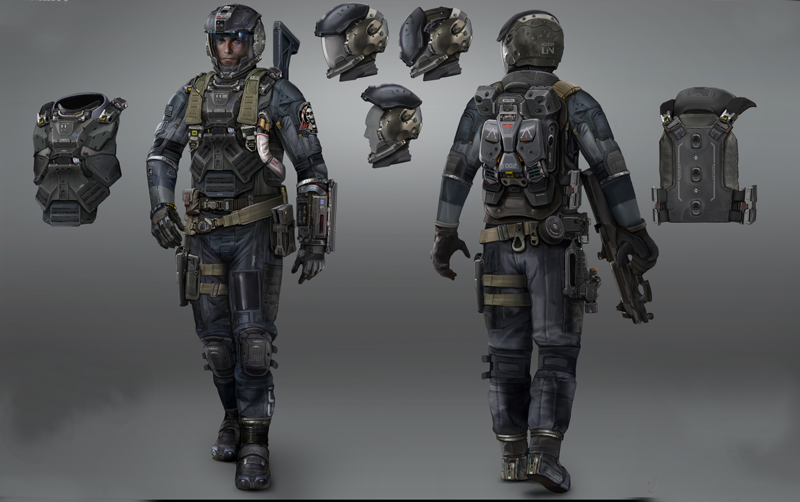 During field operations, Arno typically dons a cobalt blue Command Variant set of ATG Body Armor, usually with a helmet. This plated version of the standard ATG is reserved for commanding officers, offering an extra degree of both protection and aesthetic appeal. Given the ATG's capacity for adaptive camouflage, the color of this armor is subject to change based on his surroundings. Arno commonly equips a FRAME Type-1 exosuit to bolster his strength, dexterity, and resilience during combat. When not conducting field operations, Flint wears standard Deterrence fatigues, usually with a blue undershirt. His rank and affiliation with the company are displayed on the right sleeve of all articles of clothing he wears. 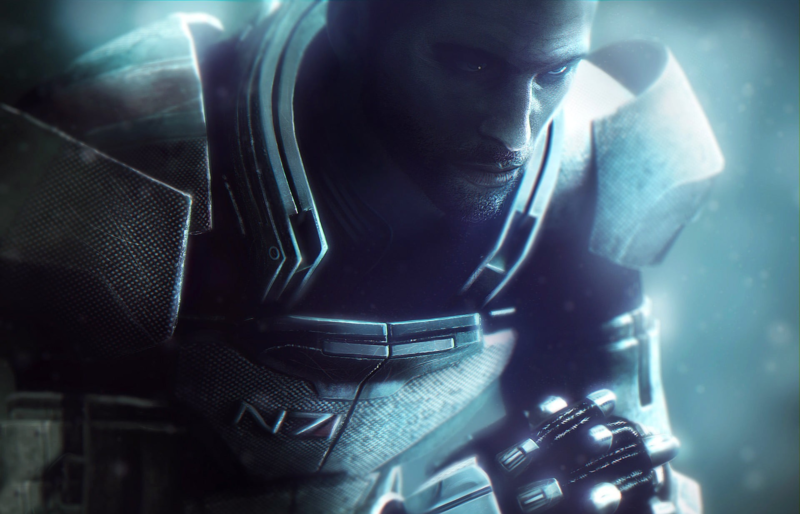 As befitting a Deterrence advanced operative, Arno's physicals are nothing short of Olympian. Contending with enemies who often boast above-human endurance, strength, and speed requires a top-tier physique, and given his dedication to his mission, Arno rises to the challenge. His endurance is optimal, and his ability to withstand pain, staggering. His raw strength and punishing combat skill make him a truly imposing adversary in a one-on-one fight, with both his long reach and tactical mind giving him a tangible advantage over enemies who outclass him on paper. His resistance to injury is superb, even without his armored garb. 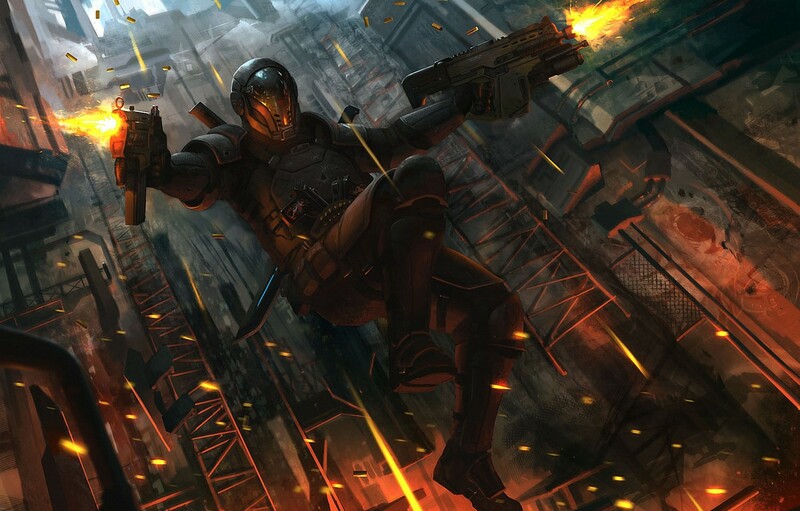 When in close-quarters combat, Flint favors heavy strikes which make use of his strength-enhancing armor. He is trained in Krav Maga, and makes use of it effectively. Through his routine practice, he has come to employ a style that involves simultaneous attack and defense, targeting an opponent's most vulnerable points, using simple and easily repeated blows to incapacitate a foe, and incorporating weapons or objects on-hand to improvise and make use of the environment. Deterrence training emphasizes disarming opponents whenever possible. Successfully field stripping an enemy's weapon can turn a lost fight into an easy victory. Wrist control and weapon control make it possible for Flint to battle enemies wielding exonormal weapons with his bare hands. Adding in the extra strength of gloves and armor makes up-close battle simple. When up against the metahumans, these principles can be applied to a variety of situations. For example, the abnormal blades they often wield can be evaded or caught rather than deflected, then seized to cut through otherwise-impenetrable armor. The principles of balance and relative weight can be turned to a fighter's advantage when engaging enemies possessing superhuman power. Rolling with blows from super-strong enemies and evading attacks which penetrate or ignore armor is key. By performing advanced holds and attacking a foe where they are most vulnerable, Flint can incapacitate even super-powered foes. Mixing martial arts moves with advanced weaponry and the environment lets Flint successfully and efficiently defeat foes he should stand no chance against. It is very easy to underestimate his effectiveness on account of his "mere" humanity. Arno's combat preference is straightforward. A front-line commander, he prefers to charge through an enemy's line of sight, quickly and effectively taking them down through sheer grit. Taking advantage of being able to unexpectedly tank the attacks of many metahuman foes, he uses the element of surprise, the simple shock and awe that comes from a bull-like charge often enough to give him the edge over a hazardous enemy. Accomplished at battling multiple foes at once, he excels in situations in which he may be swarmed, his firearm proficiency and close-quarters endurance placing him ahead of most Deterrence operatives. 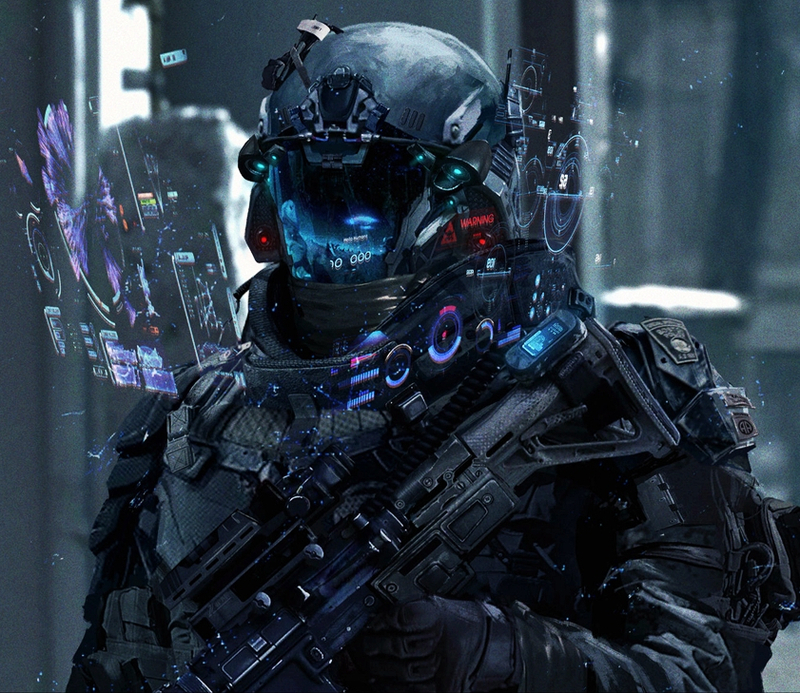 An open fighter rather than a stealth warrior, he's strong enough to make it work when equipped with the Hypercorp's futuristic gear. RFR (Rejecting False Reality) techniques were designed and implemented by the hypercorporation Deterrence to help shield its elite warriors against the stresses of battle, among other more unusual things. Flint is a skilled practitioners of RFR exercise. RFR is a form of thinking similar to a separate language which employs the human brain's natural neuroplasticity to strengthen the mind itself. With routine practice, the user's mental resilience and physical endurance improves dramatically. By using abstract thought exercises, users of RFR are actually able to take in and process information more quickly than what seems biologically possible, amplifying their reaction time and helping them to execute complex maneuvers in the blink of an eye. Overcoming pain, sensory impairment, and doubts by means of absolute focus is stressed in the training, turning a standard infantryman into a true warrior who can persist in spite of injury. In addition to making the mind more efficient, RFR opens the door to overcoming illusions, direct mental control, and telepathic probes. Attempts to penetrate Flint's consciousness often fail, the routine training shielding his subjective experience from direct adjustment. Some metahumans brought in to test his resilience have remarked that his mind is difficult to read. Higher-class psychics battle on a mental level have found that Flint can "return fire" on the mental plane, making invading his mind hazardous. To counter those who probe minds in a way that does not expose their own consciousness to harm (such as by machine), Deterrence operators are taught to think in other languages to confuse them, or simply to let instinct take over so their internal monologue vanishes. Attacks conducted on the spirit, or soul, as it is sometimes called, have been observed to fail as a result of successful RFR practice. Users can even re-integrate severed parts of their consciousness, remaining firmly within their bodies when threatened by foes who attempt to divide the mind from the flesh. Though Deterrence research on souls is largely pseudoscientific and experimental, there is no doubt that exonormal entities who operate by means of anima manipulation and / or destruction exist - that is why they prepare to fight them. Flint has enjoyed extensive firearm training and is highly proficient in the use of Deterrence advanced weaponry. He possesses clearance to wield all offensive devices within their extensive arsenal, including weapons with a miniaturized nuclear yield. He can draw and load a gun in a flash, and his aim is always steady. Flowing seamlessly from target acquisition to elimination, Flint's shots fired to hits connected ratio in the field is highly positive. Flint specializes in the use of heavy anti-personnel arms designed to incapacitate or eliminate metahumans. 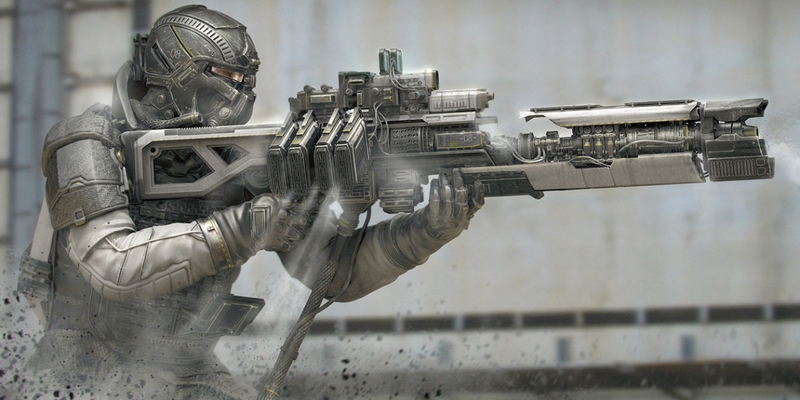 These include rocket rifes, acoustic pulse weaponry, and high-velocity scatterguns. 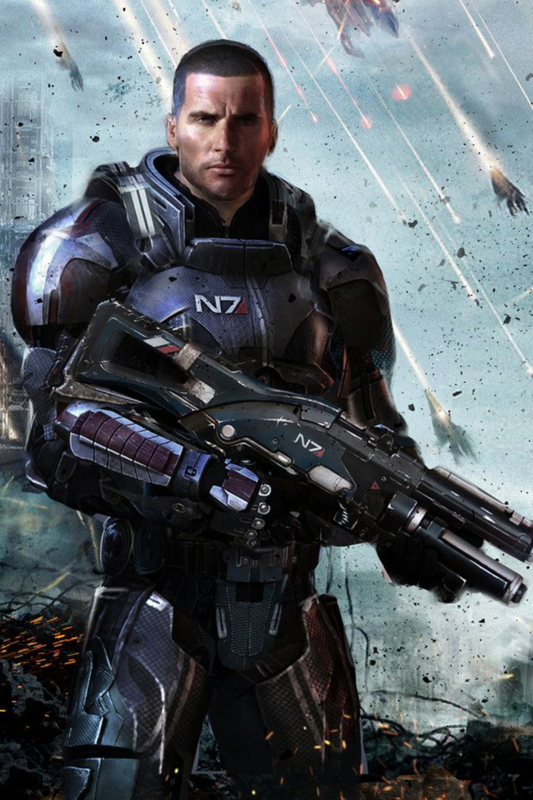 With the use of an exosuit, he can solo-wield weapons that typically require an entire team to successfully field, making him a one-man anti-meta army. He is particularly skilled with gauss rifles, which use magnetic power to rapidly launch projectiles at obscene velocities. He's been nicknamed "the David to their Goliath," excelling at engaging foes who should by all means be able to over-power him in an instant. For all field operations, Flint is sure to don Advanced Tactical Garb, commonly abbreviated ATG. Flint's high rank and elite status confer on him the authority to wear a nanoceramic plated Command Variant, further reinforced against harm. The ATG enables him to function effectively in nearly any situation, including fully anaerobic environments such as the vacuum of space. Unlike simple combat clothing, Flint's is complete armor, reinforced with joint-locking technology to prevent limb breakage and sprains. Even forces applying massive amounts of torque fail to twist the armor's actuators beyond their limits, protecting Flint from being torn apart by ultra-strong foes. The helmet contains a Third Eye system connected to a Widget. To amplify his strength and dexterity, Flint equips a Type-1 Exoframe, the infantry-based lightweight exoskeleton designed expressly for tactical supremacy. The Exoframe grants Flint the power to move and attack with uncanny speeds, as well as the further resilience needed to operate in exonormal conditions. While wearing the FRAME, Flint can carry and aim the heaviest of guns with sheer ease, run along walls with fantastic grace, and strike "invulnerable" metahumans with enough force to neutralize them. Additional benefits conferred by the ATG and the Type-1 Exoframe can be found on their individual pages. To contend with powered beings who can reasonably be classified as walking WMDs, Flint makes use of Deterrence's complete arsenal of special weapons, wielding an array of firearms in the fight for mankind's survival. Generally speaking, Flint believes in simplicity over complication, preferring reliable firearms which make use of simple ballistics. 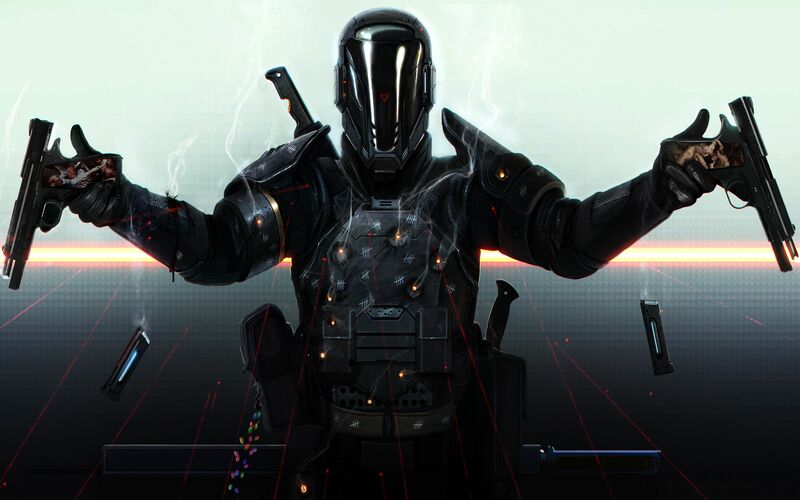 Given that the exoframe Flint wears confers enough physical strength to be thought of as a close-quarters weapon in its own right, he typically chooses to equip only ranged primary weapons, relying on a nanocarbon-bladed knife for close encounters. Flint is trained in the use of explosives, able to plant as well as defuse advanced bombs. He carries a variety of specialized grenades in the field as well. The world is a strange place. There seem to be no rules - not even the laws of physics get followed anymore. It's one thing to try and find rules within the system, but when push comes to shove, you're ultimately going to have to be the one enforcing your own orders. 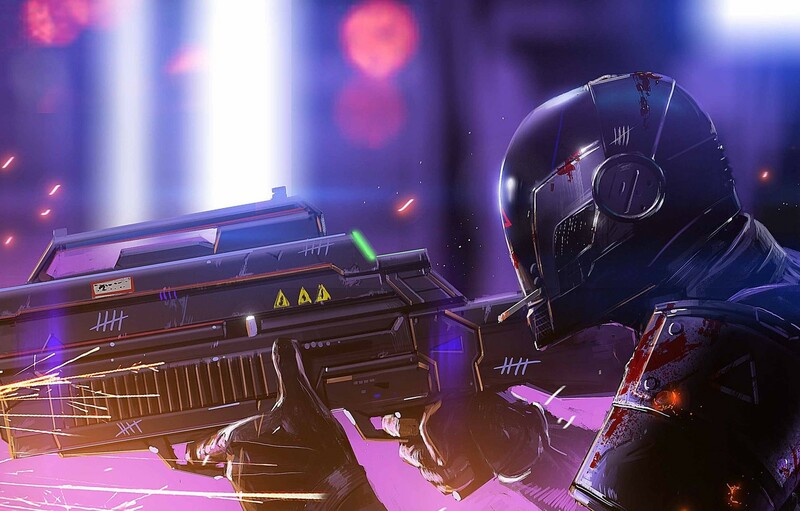 In an exonormal combat situation, one has to do more than improvise - they have to be able to adapt to entirely new conditions of reality on the fly. Rules for moral behavior, rules for what works on a foe and what doesn't, rules for what will kill you and what will make you live - when facing the WEIRD, it turns out all of these simply evaporate. A man has to set his own terms. The paradox between rational and irrational, object and subject, order and chaos, is well-known to Arno Flint. But at this point, in order to get his job done, he's going to need to push that paradox to the forefront of his mind and work with it. Leave systems to the normals, the grunts beneath him - they'll just be let down the first time they shoot a bullet at someone and it turns into a butterfly. A man unfamiliar with the waking absurd would gnash their teeth and moan, but to Flint, that's just another aspect of the job. One would be more effective if they embraced the oddity, the contradiction between serious and zany, and owned it. That's where he's at now. It's going to be quite the ride. Identity: Known within Deterrence. On record as an ex-SWAT operator, metahuman incidents division. Clearance: Uber-Sergeant level. Full command of battlefields when deployed. Education: Law-enforcement academy, transitioned to SWAT unit. Tested out of high school. No more diatribes on justice, or righteousness, or whatever. Turns out most exos don't give a damn about what humans want, nor do the fair share of human beings Flint runs into. From this point on, all they're going to get is a "That's typical" out of him. To laugh in the face of the weird and uncanny is probably the sanest response, as it keeps one's head from spinning once they encounter a new set of rules for reality. The very nature of metahumans is that they make logic itself irrelevant, for they so often display the capacity to ignore the laws of physics, rationality, and yes, mundane Earthen law. Essentially, the universe is making itself up on the fly, and Flint's decided to just roll with it. No use being a lighthouse in the middle of a raging storm when you can become the storm. The new Flint loves his life and job, and while some might expect his effectiveness to decrease, he's actually become much better at dealing with exonormal threats. Acting rather than thinking, if one's instincts are good enough, can be pretty efficient - especially when a foe is counting on you to be surprised and incredulous that they can break the laws of the universe on a whim. Sure, he's gone down the rabbit hole, but he's having a real blast doing what he loves. What more could a man hope for, than to stand against evil and hypocrisy, confidently forging their own fate with the resources and support of an entire world behind them? No more orders, only suggestions; no more limits, unless they're limits to be broken. Flint has come to embrace and embody life and love, and it's gonna get nuts. Arno is a man of slightly above-average height and muscular build, the result of years of routine conditioning. His hair is longer than it was before, still but still short enough that it won't become a problem in a combat situation. Arno's eyes are blue, though the color appears to have been in flux lately. He has high cheekbones and pronounced facial features, usually set in a neutral expression or a benign smirk if dealing with something strange. His posture is controlled when appropriate but loose around other times. Arno is solitary unless he's dealing with someone who also understands the gravity of the exonormal, in which case he might share a laugh or two with them. As a commander, he is straight to the point, effective, and frankly, a source of inspiration for his troops. In recent times, though, he's started to embrace the looseness of war against the weird, fighting his own battles his own way. His personal armor tends to wind up sporting, in addition to battle damage, tally marks, stickers, and what he terms souvenirs. Arno uses a FRAME Type-1 exosuit to increase his physical abilities in the field. When not conducting field operations, Flint wears standard Deterrence fatigues, usually with a blue undershirt. His rank and affiliation with the company are displayed on the right sleeve of all articles of clothing he wears. He might also wear a ballcap, depending on his mood. 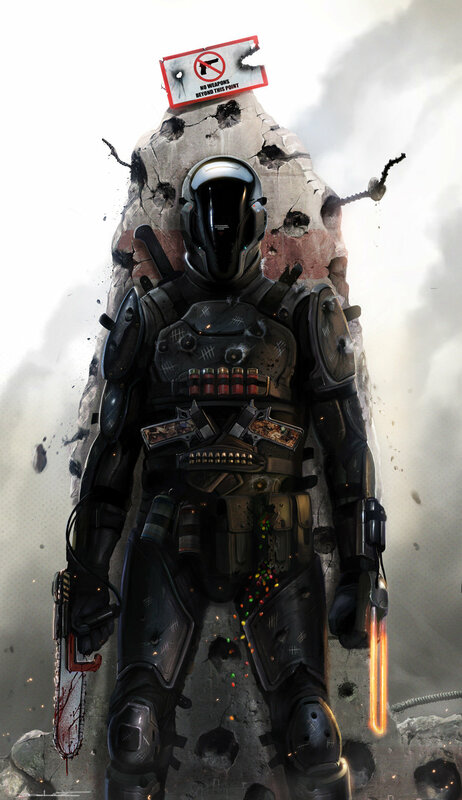 With the introduction of the Excelsus-type pseudodermis armor, layered beneath the Advanced Tactical Garb and Frame-1 Exosuit, Flint has become even more harm-resistant. His diet, training, and adamant will account for the human level of stamina, but amplifying that is a layer of extremely reinforced carbon false-muscle substance that essentially emulates superhuman physique, granting Flint phenomenal endurance when exposed to pressures, impacts, and tensions beyond that which a human could possibly survive. Flint is functionally immune to limb-breaks, nerve-strikes, explosive shrapnel, being crushed, and temperature extremes as a result of this "second skin" he wears into battle. Another aspect of the prototype EXCELSUS type ATG armor is an reactive countermeasure based on directed energy microexplosives lining the system. Similar to armor found on some prototype tanks, this armor activates small explosions on the surface of Flint's ATG shell when highly dangerous attacks are read as incoming. Essentially, sufficiently powerful attacks are capable of auto-detonating small directed charges that deflect incoming impacts. Though this launches the user themselves away at high speeds, often to their detriment, it can be an acceptable trade-off to survive what might otherwise be a fatal injury. 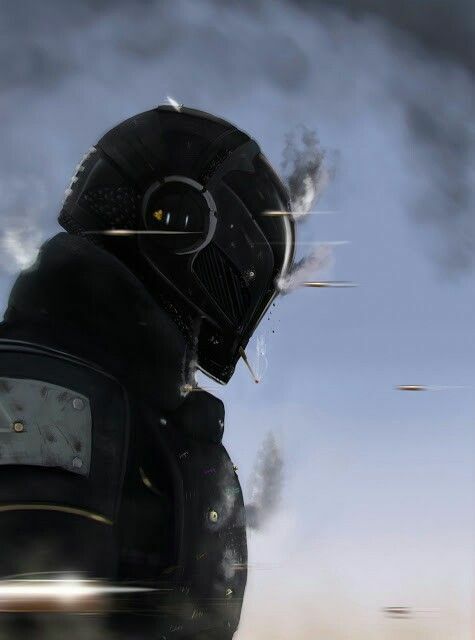 In this manner the EXCELSUS suit allows one to explosively "dodge" oncoming attacks, if one is willing to accept the trade-off of being blown up, which the armor is meant to endure. In recent time, Flint has come to enjoy the use of close-quarters weapons, such as high-frequency acoustic hummingblades that can inflict massive damage on conventionally invulnerable targets. He wields swords, spears, knives, and axes with expert proficiency, supplementing his at-range weapons ability with up-close savagery. To contend with powered beings who can reasonably be classified as walking WMDs, Flint makes use of Deterrence's complete arsenal of special weapons, wielding an array of firearms in the fight for mankind's survival. Generally speaking, Flint believes in simplicity over complication, preferring reliable firearms which make use of simple ballistics. 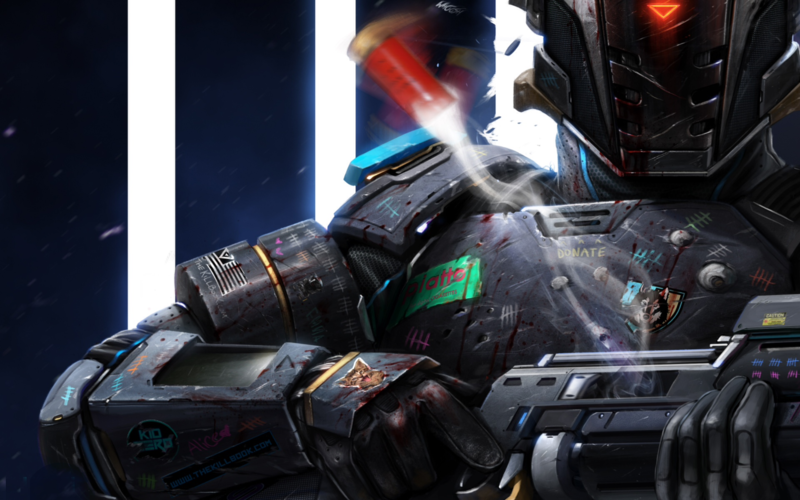 If a situation calls for an unusual weapon, then he'll employ it, ranging from re-purposed enemy gear to laser-powered prototype guns delivered right to his position by Hypercorp drones. In recent time, Flint has come to appreciate the simple effectiveness of hummingblade-type vibrational melee weaponry, ranging from a one-handed sword often strapped to his back to throwing knives and axes that can penetrate nearly any armor. By using these in conjunction with his extensive array of firearms and weapons built into his suit, he's a true juggernaut in the field. Flint also has full clearance and, if requested, command over operations of Deterrence's Pittsburgh branch.